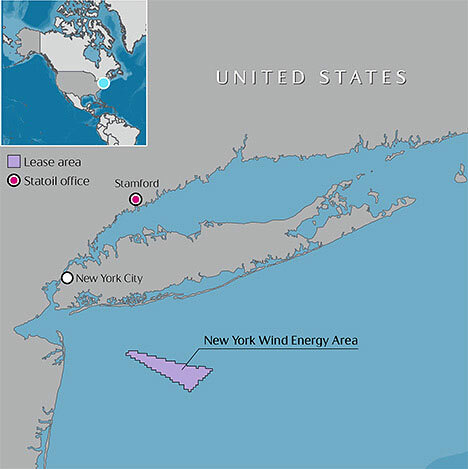 Statoil has been declared the provisional winner of the US government’s wind lease sale of 79,350 acres offshore New York. 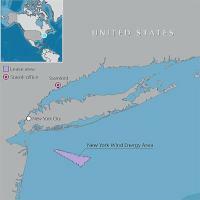 Statoil submitted a winning bid of USD 42,469,725 during the online offshore wind auction concluded today by the US Department of the Interior’s Bureau of Ocean Energy Management (BOEM). Statoil is an integrated, technology-based international energy company primarily focused on upstream oil and gas operations. From a daily production of approximately 1.8 million barrels of oil equivalent (BOE), more than 270,000 BOE stem from the company’s onshore and offshore oil and gas fields in the US.